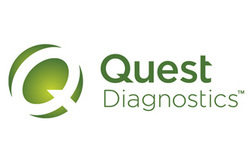 Employers - Airport Medical Solutions, Inc.
AMS Inc. in association with Quest Diagnostics offers drug screening collection services nationwide. Just click the bottom below and enter state, zip code and the testing desired. Collection Sites will be displayed. eScreen allows you to view and manage all aspects of your hiring program online, from your desktop, 24/7. Even better, this secure web-based program helps you maintain a drug-free workplace with minimal hassles. AMS Inc. in association with SAP Referral Services a leader in providing Substance Abuse Professional (SAP) and Substance Abuse Expert (SAE) referral services. To locate a SAP in your area please click the bottom below. The Department of Transportation's (DOT) rule, 49 CFR Part 40, described procedures for conducting workplace drug and alcohol testing for the Federally regulated transportation industry. The regulations required all part 119 certificate holders authorized to operate under parts 121 and 135, air tour operators and air traffic control facilities not operated by the FAA to implement drug and alcohol testing programs. The (FMCSA) Federal Motor Carrier Safety Administration agency has defined drug and alcohol testing rules and regulations for employees who drive commercial trucks and buses that require a CDL license, these regulations can be found at 49 CFR Part 382.